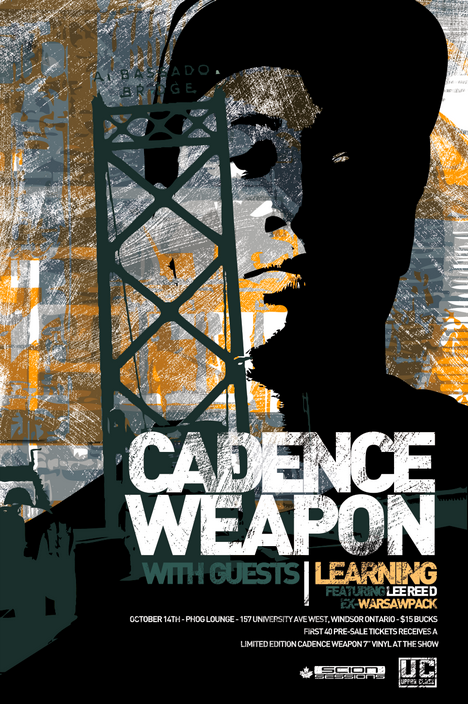 Cadence Weapon is coming to Phog and I’m freaking out. Even better, some of the best hosts we have in the Windsor music scene are playing the gig too…it’s the band, Learning. What’s bizarre is that I’ve been wanting to book Cadence Weapon for five years with no bites. Suddenly he’s short-listed for the Polaris Prize…and we get an opportunity to book him. How is this possible?! Canadian hip-hop at it’s best, delivered by the 2009-2011 poet-laureate of Edmonton, by an act that I’ve been “bompin'” to for a handful of years…is going to be a gift to Phog and all that attend. I can’t wait to see all the word-obsessed academia mixed with people who just appreciate a grinding bass beat. The definition of Phog’s diverse crowd will be on display Sunday, October 14th, for SURE. 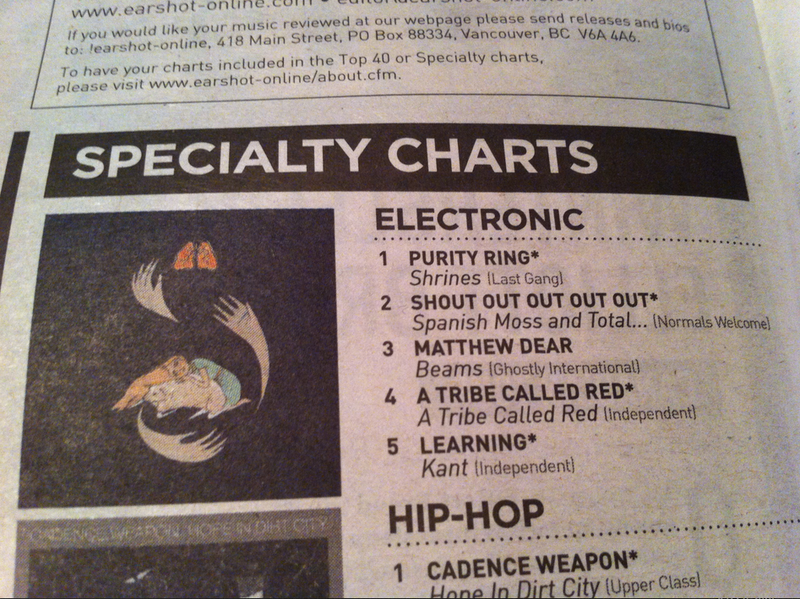 Joining the show will be the Windsor electronic/rock duo, Learning, sitting firmly at #5 in the !earshot Electronic Charts. I can’t emphasize how proud of them you SHOULD be, but I’m thrilled for the hard work paying off for Chris and Murad. The super-secret awesomeness that they just unleashed on me recently is that Hamilton emcee (rapper) Lee Reed, of the phenomenal hip-hop band, Warsawpack, is going to be performing WITH Learning! This just got REALLY real. Here’s a more standard bio from his “people”. third Polaris Music Prize nominated album. Scion Canada is a major sponsor of this tour…which is surely allowing for the the most unusual detail, and coolest element about this particular tour…that the first 20 advanced ticket purchasers receive a Cadence Weapon 7″ Vinyl Conditioning/Loft Party giveaway on the Hope In Dirt City Tour stop at Phog Lounge. The show is modestly priced $15. AMAZING!!!! 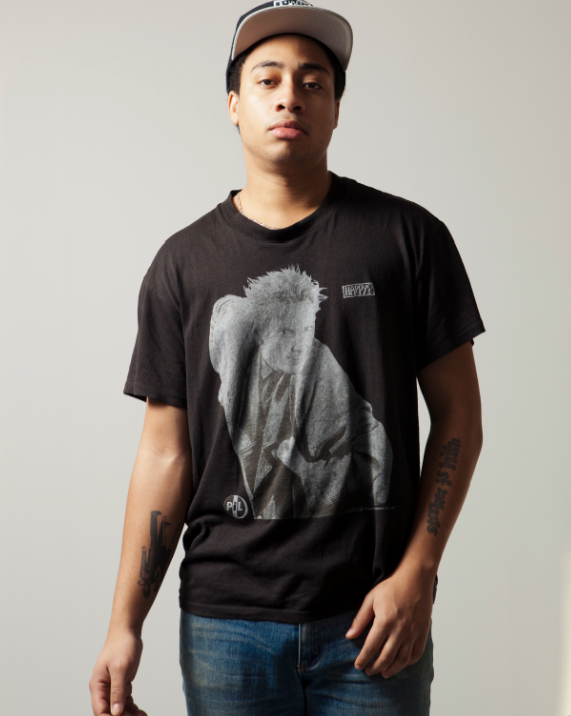 This entry was posted in show promo and tagged Cadence Weapon, edmonton, Learning, Lee Reed, phog, poet laureate, Polaris Prize, Scion Canada, Warsawpack, windsor. Bookmark the permalink.